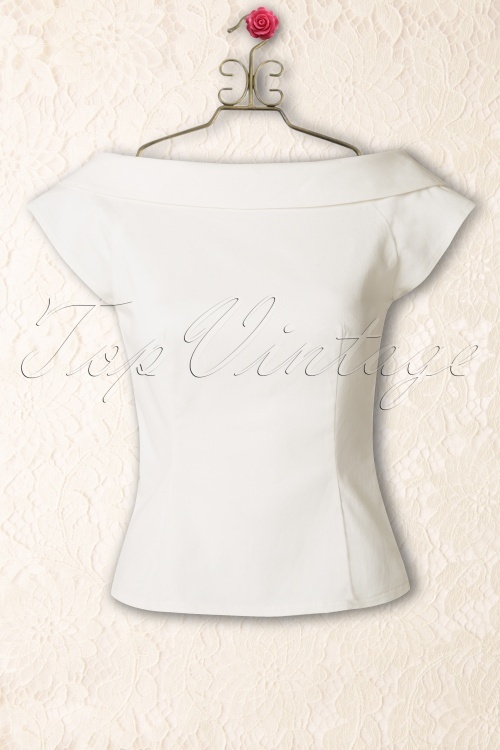 The 50s Cordelia Top in Ivory by Collectif is an elegant top with a little surprise at the back! 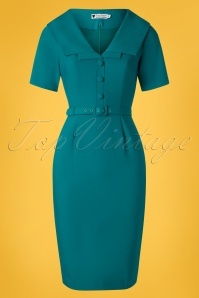 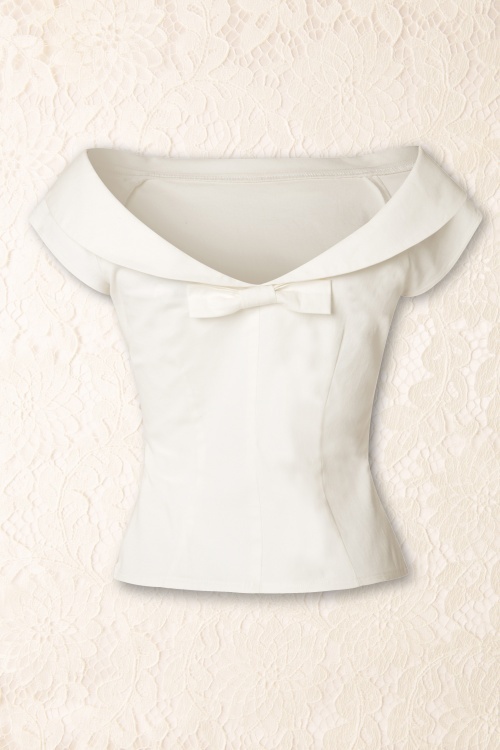 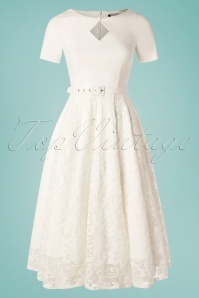 This fitted top is the perfect mix of a classic style with the elegance of the 50s, très chique! 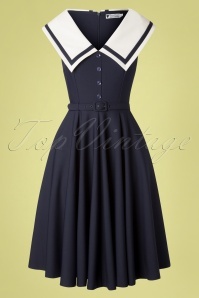 Beautiful boat neck with fold-over collar which ends in a low cut with cute fixed bow at the back (your bra strap won't show). 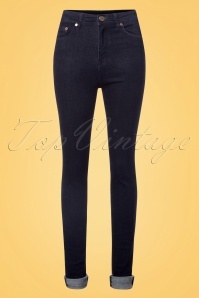 Front darts at the bust ensure a perfect fit. 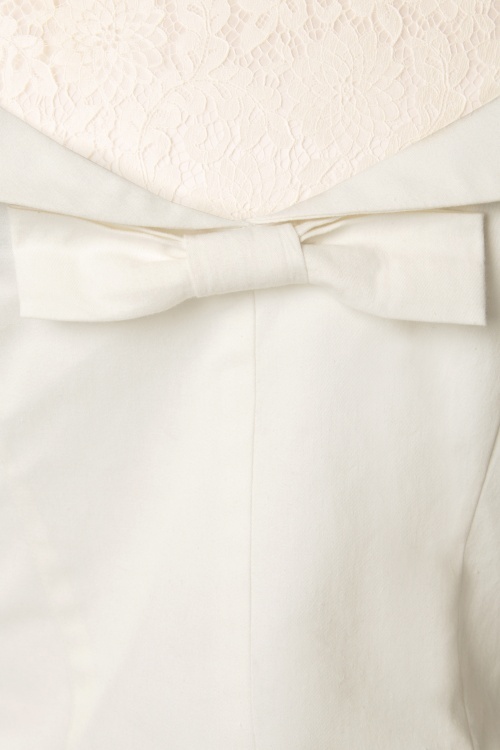 Made from a stretchy ivory coloured cotton blend, finished off with short cap sleeves and a hidden zipper at the side. 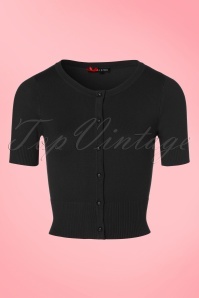 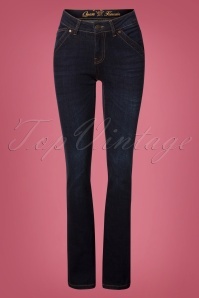 The top is slightly shorter and therefore the perfect match with a high waist pencil skirt or trousers. 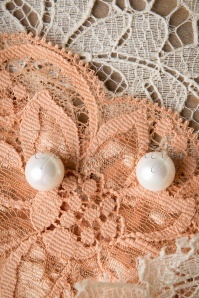 Add some pearls and your classy vintage look is complete!